In partnership with Camp Shiktehawk, we are excited to offer students a different type of educational experience. Following a model of “experiential education,” the ClayStone Certificate is a gap year program that offers students the opportunity to complete 30 university credits in a rotation of contexts including outdoor adventure, and domestic and international cross-cultural environments. The purpose of ClayStone is to provide students with a series of opportunities designed to facilitate life-transformation: heart, mind and body. The ultimate objective is that students will achieve a more complete understanding of the person of Jesus, their relationship with Him and their obligations as His disciple. ClayStone promotes life-transformation through two strategic thrusts. First, ClayStone embraces an “experiential” model of education that allows students to be immediately and practically exposed to theoretical concepts studied in textbooks. Second, ClayStone pays particular attention to the idea of “community” with a belief that the greatest measures of transformation are experienced while living in healthy relationships with other people. Crandall University will be the initial gathering place for ClayStone students. It is here where students will first meet other ClayStone students and receive important orientation material. Camp Shiktehawk will be ‘home’ for the majority of the ClayStone experience. It is from the camp base that the wilderness ventures and skills certifications will take place. The camp will also be the place where students will begin to understand the importance and value of healthy relationships and community as disciples of Jesus. Through mission involvement and cultural learning in inner-city Montreal, students will learn about cultural realities and challenges. Exposure to and participation with people from the Tobique First Nations will be a strategic cross-cultural experience for ClayStone students. Students will participate with and learn first-hand about the culture of one of our Nation’s first people groups. After the Christmas break, students will travel to the Dominican Republic where they will reside for six (6) weeks. This cross-cultural experience will provide students with a third exposure to a culture that is significantly different from their own. Working with a group of churches in Puerto Plata, students will become involved in the life of that community as fellow disciples and attempt to live and experience the grace of Jesus. While the ClayStone Certificate provides students with university credit and exposes them to a variety of unique learning contexts, the overarching outcome will be related to discipleship growth as the lives of students enrolled in the ClayStone Certificate program will have the opportunity to experience significant life transformation. 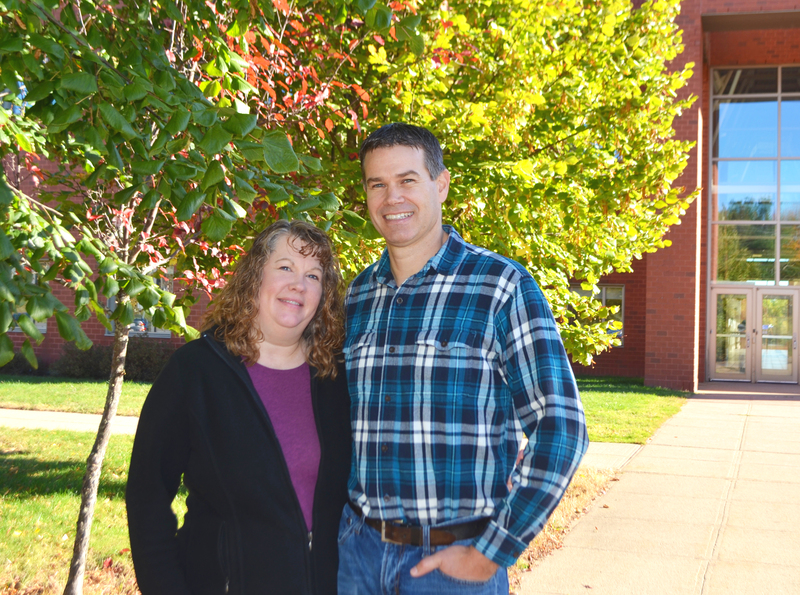 The Directors of ClayStone are Dale and Twila Stairs. They have been discipling youth and young adults for over 25 years and are absolutely thrilled to be starting this new adventure together! With experience in church and denominational youth and young adult ministry, teaching and university and raising three sons together, they are well prepared for this role. In addition to Directing ClayStone, Dale is also the Director of the Crandall-Acadia Bachelor of Theology Partnership. Camp Shiktehawk Directors, Jon MacDonald and Rich Woollin, are very much part of the team as well. They take leadership on the outdoor adventure components of ClayStone, and bring their fun and adventurous spirits into everything that happens! Each year, two young adult Interns will travel with ClayStone students through all their adventures, providing additional personal and program support. For more information please contact us at (506) 858-8970. Select #1 for Admissions, or contact the Director directly at dale.stairs@crandallu.ca.